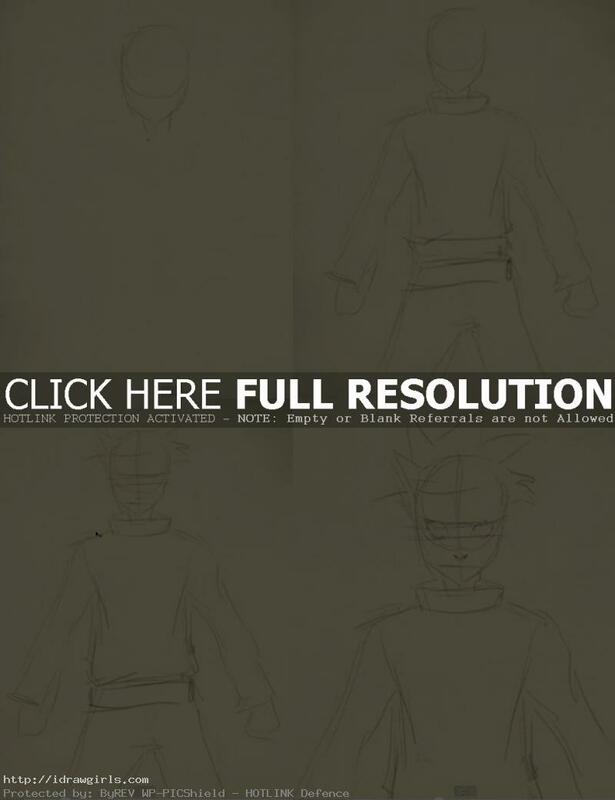 How to draw Naruto Uzumaki. 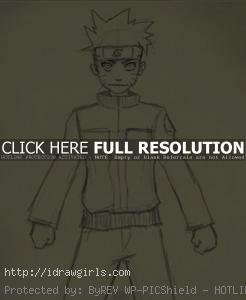 Learn how to draw Anime Manga video tutorial. This video shows you how to draw character from manga. Learn from basic construction sketch to finished Anime drawing. Quick and easy drawing and sketching instruction. You can scroll down further to see step by step images with instruction. Learn how to draw Manga Naruto Uzumaki (うずまきナルト, Uzumaki Naruto) is the title character and main protagonist of the series: Naruto. He is a genin from Konohagakure, a member of Team Kakashi, and the third and current jinchūriki of the Nine-Tailed Demon Fox. 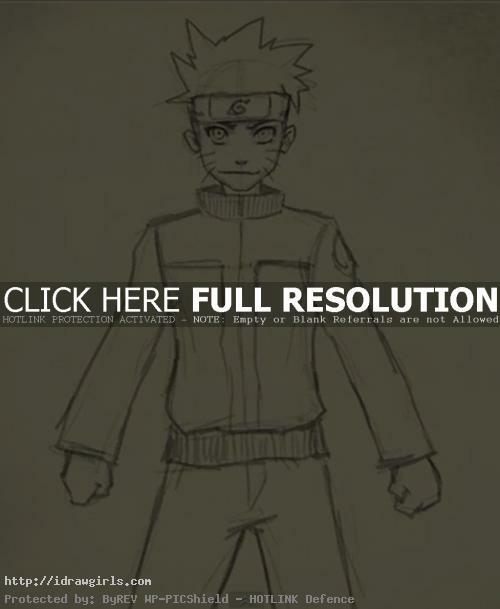 Naruto is a fictional character in the anime and manga franchise Naruto created by Masashi Kishimoto. In the series, Naruto is a ninja affiliated with the fictional village of Konohagakure. The villagers ostracize Naruto because the Nine-Tailed Demon Fox, a malevolent creature that attacked Konohagakure, is sealed within his body. As such, Naruto has ambitions of becoming the village’s leader, the Hokage, in order to gain recognition amongst his peers. 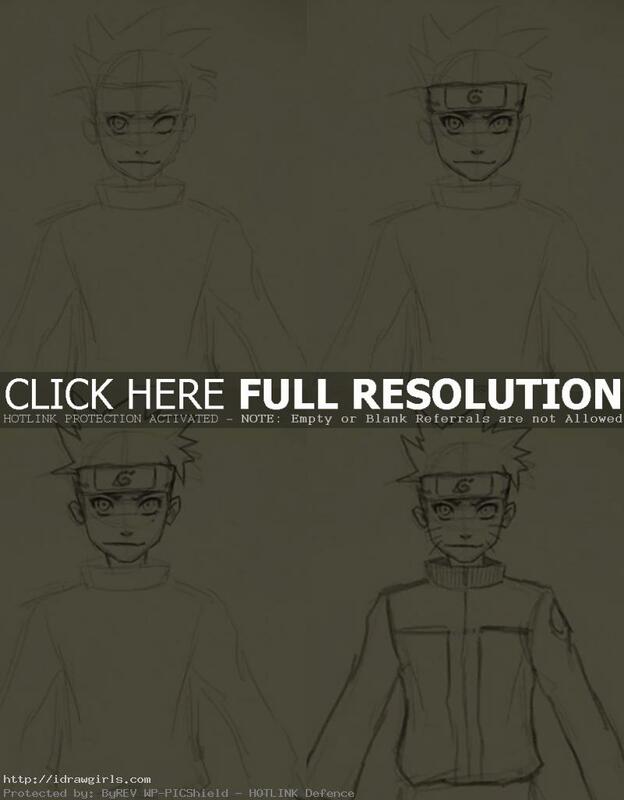 Below are step by step images how to draw Naruto. Step 1, I first draw a circle to form the top of his face then draw two lines from left side and right below to create the bottom of his face. Step 2, now I start drawing very loose simple form of his coat with arms and circular shape to form his hands. Step 3, I draw 2 horizontal lines on his faces. Both lines should be about half the height of his face. Then a vertical line in the middle of his head to line up where his nose and his mouth will be located. Step 4, I then sketch out his hair very lightly, the two big eyes should be right between the two horizontal lines. And the distance between the two eyes should equal the length of one eye approximately. The nose should be 1/3 the height from the lower horizontal line to the mouth. And the mouth should be about 1/3 the height from the lower horizontal line to the chin. Slightly different from real people portrait proportion measurement but not that far off. Step 5, after I have all the construction lines lay out. Then I start to draw in likeness and detail. Watch the drawing video tutorial for in depth instruction on how to draw Naruto. Here is a final Naruto drawing.